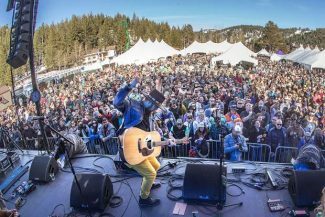 Your Tahoe Weekend: Pain McShlonkey Classic, The Floozies and more! 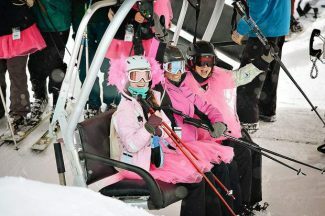 Don't miss Pain McShlonkey at Squaw Valley this Saturday, March 18 â costumes encouraged. 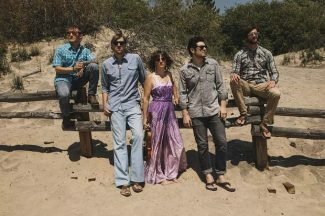 Renowned jam rock band (with a touch of bluegrass and maybe a bit more) The String Cheese Incident is headed to Lake Tahoe’s North Shore for an unprecedented 3-night performance at the Crystal Bay Casino’s fame Crown Room. Bring your talent or simply enjoy the show at Open Mic Night at Art Truckee, welcoming performers of all disciplines every third Friday of the month hosted by Tahoe Truckee School of Music’s Angele Carroll. When: Friday, March 17 | 7-10 p.m. When: Friday, March 17 | Doors at 7 p.m.; show at 8 p.m.
Local artist Carole Sesko will teach techniques for creating layers and textures in paintings. The class is open to artists age 13 and up and no experience is necessary to create a masterpiece. When: Saturday, March 18 | 2-4:30 p.m.
Visit Homewood Mountain Resort on Lake Tahoe’s West Shore for two days of beer tastings and get the opportunity to demo new gear. Guests will have the chance to win sweet raffle prizes and enjoy live music performances. 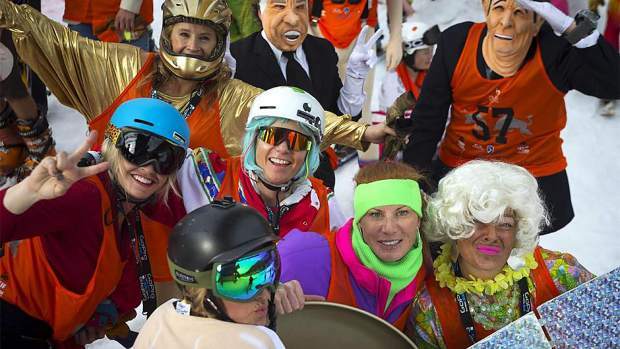 Costumes are strongly encouraged at this fun and whacky event celebrating the late, legendary skier Shane McConkey. Activities are scheduled all day long and sure to keep a smile on your face. Who doesn’t love a good dance party? Dress up in your best ‘80s garb and head on over to the Hard Rock in South Lake Tahoe to shake your groove thing. When: Saturday, Mar. 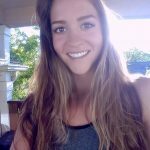 18 | 10 p.m.
Singer-songwriter Michelle Moonshine delivers a unique performance with a “country-esque Americana” sound that promises to keep you entertained as you enjoy a delicious meal and specialty cocktails from Moody’s menu. When: Saturday, March 18 | 8:30 p.m.
Take your snowshoe journey to the next level with an educational tour teaching about Tahoe’s earliest settlers and secrets of the Hellman-Ehrman Estate on Tahoe’s West Shore. When: Saturday, March 18 | 11 a.m. – 12:30 p.m.
Catch a high-energy DJ show by The Floozies, a duo “born in funk and bred in the digital age.” Show proceeds benefit Sam Rick. Coop da Loop will open the set — and don’t miss out on the String Cheese Incident after party.